If you visit this page often, please reload or refresh to view the latest update. Upcoming Event:Implementations of Environmental Education(II) Experiential Learning of Environmental Education on Mochitsuki (the traditional mochi-pounding ceremony in Japan)| December 14, 2013|Konan University, Kobe Be sure to bring windproof jacket, warm clothes, camera(recommended), notebook, pen or pencil, a water bottle and towel. Upcoming Event:Implementations of Environmental Education(II) Experiential Learning of Environmental Education on Rice Threshing| October 19, 2013|Konan University, Kobe Be sure to bring raincoat(optional), long pants, a long-sleeved shirt, camera(recommended), notebook, pen or pencil, a water bottle and towel. Event:Implementations of Environmental Education(II) Field Study Tour in the Aina National Government Park|September 28, 2013|Aina National Govenment Park, Kobe Be sure to bring raincoat(optional), long pants, a long-sleeved shirt, sun hat, sun screen, insect repellant, camera(recommended), notebook, pen or pencil, a water bottle and towel. For excursions, appropriate footwear and clothing are an important safety pre-requisite. Event:Implementations of Environmental Education(I) Experiential Learning on the Harvest Summer Vegetables| July 13, 2013|Konan University, Kobe Be sure to bring raincoat(optional), long pants, a long-sleeved shirt, sun hat, sun screen, insect repellant, camera(recommended), notebook, pen or pencil, a water bottle and towel. Event:Implementations of Environmental Education(I) Field Study Tour in the Aina National Government Park|June 29, 2013|Aina National Government Park, Kobe Be sure to bring raincoat(optional), long pants, a long-sleeved shirt, sun hat, sun screen, insect repellant, camera(recommended), notebook, pen or pencil, a water bottle and towel. For excursions, appropriate footwear and clothing are an important safety pre-requisite. Event:Implementations of Environmental Education(I) Experiential Learning on Organic Vegetable Gardening|April 20, 2013| Konan University, Kobe Be sure to bring raincoat(optional), long pants, a long-sleeved shirt, sun hat, sun screen, insect repellant, camera(recommended), notebook, pen or pencil, a water bottle and towel. Event: Academic Lecture- Prof. Brian Chi-ang Lin is presenting at the Konan University, Room No. 10-L611 on Monday, March 18, 18:00-20:00. Topic Title: Economic Planning for Sustainability.|The public is invited to attend. Event: Academic Lecture- Dr. Siriwat Soondarotok & Dr. Chinatat Nagasinha are presenting at the Konan University, Room No. 10-L611 on Thurseday, October 25, 18:00-20:00. Topic Title: Ethnic Clothes & Living Together with Nature from the Viewpoint of Eco-friendly Clothing Education|Poster |The public is invited to attend. |Please note that the location for this seminar has been changed from Room No. 10-L611 to Building 9, Conference Room 5. 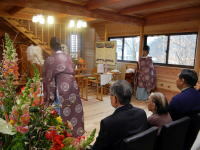 Event: Implementations of Environmental Education (II) Experiential Learning on Mochitsuki (the traditional mochi-pounding ceremony in Japan)| December 15, 2012| Kona University, Kobe Be sure to bring windproof jacket, warm clothes and towel. 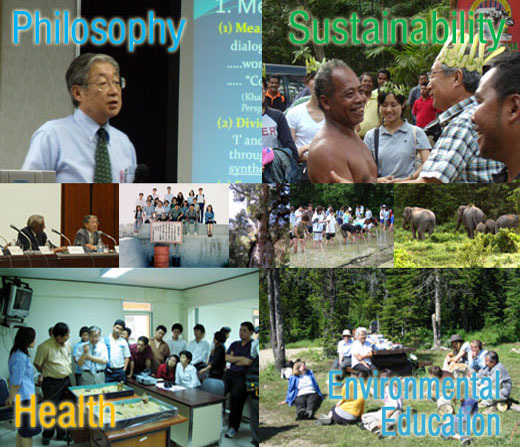 Event: Public Lecture -Prof. Fumiaki Taniguchi is presenting at the UM Centre for Civilisational Dialogue, Katha Room on Wednesday, August 29, 10:00-11:30 a.m. Topic Title: Jakun People and Cosmology in Endau Rompin National Park (Peta) from the Viewpoint of Traditional Ecological Knowledge. News:Course Syllabus: 2012 Area Studies Joint Programme at the University of Malaya (Konan International Exchange Centre)|Summer 2012|University of Malaya, Malaysia　*The date of a final seminar has been changed from 13:00, Saturday, September 22nd, to 9:00, Friday, September 14th. Copyright 1997-2013 Taniguchi Office. All Rights Reserved.